If you’re beginning to search for a Class A RV, there’s some information you’ll need to know beforehand. For starters, you’ll probably want to know exactly how long that Class A RV will be. You know the length of your RV is important. Not only will it impact how comfortable you feel driving it but it will also impact weight, the cost of fuel, and the cost of overnight stays. It may even impact where you’re able to drive when traveling with your RV and whether your driver’s license will be valid. Your Class A RV can be anywhere from 22 to 49 feet. That’s a pretty significant range. Wondering what, exactly, a Class A RV encompasses? You’re in the right place to learn about Class A RVs, what you’re likely to get at each length, and their strengths and weaknesses. What’s The Difference Between The Lengths? It’s easy to think the class of RV depends entirely on the size of the vehicle. That actually isn’t true, though, as the RV classes tend to overlap when it comes to length. 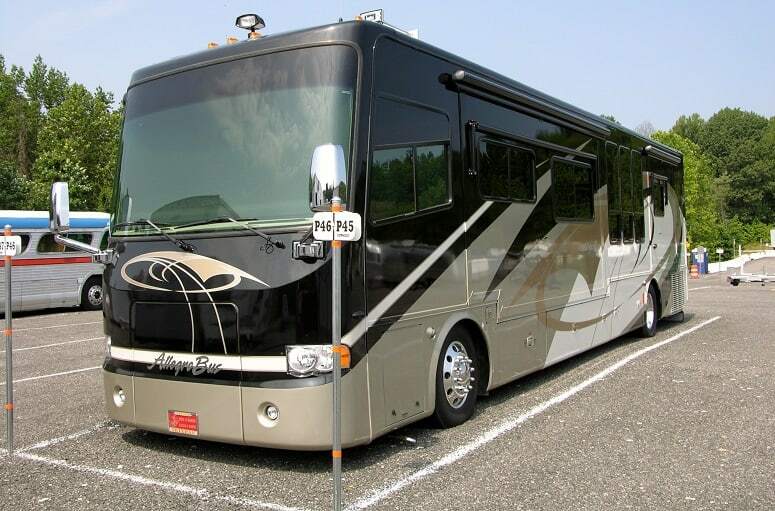 Rather, the Class A RV usually offers high-end and luxurious amenities. While they are frequently large and often built on a bus—or even a commercial truck—chassis, they can be found in smaller sizes as well. Here are some things you can expect to find in Class A RVs in short, medium, and long lengths. When you think of a motorhome, you’re likely to be visualizing the Class A RV in a long length. With their distinct, hulking shape, extra height, and shiny exterior, they make RVing seem downright glamorous. Many of the longer Class A RVs are equipped with multiple slideouts. When setting up on site, these slideouts pull out from where they’ve been nestled for traveling purposes, and increase the living space within the RV. This can easily double the interior size of the RV. If you do decide on a model with slideouts, you need to be aware that each slideout will contribute a significant amount of overall weight to your vehicle. You should always be aware of how much your vehicle weighs as it may impact where you’re able to drive and set up. Inside these long Class A RVs you’re likely to find multiple bathrooms and full-sized refrigerators, kitchen islands, and real tile. The slideouts help make this possible by creating the additional space when not driving. If you’re ready to throw all caution to the wind and make the leap to a large Class A RV, there are plenty of luxurious options to choose from. If you’re not willing to compromise on the experience of RVing, you might want to take a look at the 2019 Winnebago Grand Tour. 60-inch retractable television with fireplace. Double kitchen sink and a residential refrigerator. Pantry and dining area buffet. Ultraleather, carpeting, and tile surfaces. Like your longer Class A RVs, your mid-sized Class A RV will offer many amenities and upgrades. Your RV may still have slideouts as well. While you’ll find many of your long Class A RVs run on diesel fuel, you’ll be able to find many mid-sized RVs that operate with gasoline. If having a gas vehicle is important to you, you may want to consider looking at the mid-length vehicles instead of the long. You can still expect your mid-length Class A RV to be quite pricey. Just like your longer Class A RV, your mid-sized will be packed with upgrades. If you’re going places where length, width, or height may be restricted—but still need significant space—this mid-sized length may be a good option for you. If that sounds like what you’re looking for, the Coachmen Mirada may be just the kind of compromise you’re looking for. Reclining and swiveling pilot seat. Fully prepped for stackable washer and dryer. If you aren’t RVing full time or don’t have a large family to account for, you may find what you’re looking for in a Class A RV in a small package. Of course, the lack of size and slideouts means you can expect less interior storage space as well. It’s likely you’ll also be looking at RV-sized appliances as well. These short Class A RVs may not have slideouts. Unlike the large and medium lengths, you might find a shortage of exterior access storage as well. If price is a factor for you, though, you’re likely to find the best prices for Class A motorhomes in these shorter lengths. Traveling small can be a great way to get the luxurious amenities you’re looking for at a better price-point. If this shorter Class A RV sounds like something that might work for you, the Jayco 2019 Alante may be worth looking at. Right in the range of average accepted lengths by national parks, and more affordable than many other options on the market, it’s a great smaller Class A RV option. Backup and side-view cameras with a monitor. Electric patio awnings with lights. 30,000 BTU auto-ignition ducted furnace. The Class A RV has some great things to offer, but there are also some serious considerations to keep in mind when you’re shopping for one. These Class A RVs are as nice as a house. You may be surprised to learn that some RVs can also cost as much as a house. Class A RVs can cost upward of a million dollars. It’s important to establish a concrete budget and a real understanding of what the features you want will cost you. That initial purchase price will certainly set you back, but don’t forget to factor other cost items as well. Maintenance—multiple bathrooms and full-sized appliances mean you’re looking at more things to maintain—or to repair. Overnight accomodations—longer spots are not as widely available and, when you do find them, will cost more per night. Fuel—the longer your RV, the heavier you can expect it to be, especially if you’re factoring in weight from multiple slideouts. The longer and heavier your RV is, the more quickly you’ll go through fuel and the more costly travel will be. Having an extra large RV may seem like a dream come true—until, that is, it comes time to park it. It’s not just parking at your final destination you need to worry about, either. If you aren’t RVing full time and you own a home, where will you park it while not out on the road? Is there space on your property, or will you need to rent a space for it somewhere else? If you do have space to house it on your own property, don’t forget to factor in the weight of your RV. Not all driveways have been properly prepped for the amount of weight a large RV has. Planning on visiting friends and family with your RV? Will they be able to accommodate you during your visits? If not, will you have a separate vehicle to get you to and from locations? These are the sort of questions you should ask yourself before you leap into ownership of an extra large RV. Don’t forget to factor in your actual travel experience as well. 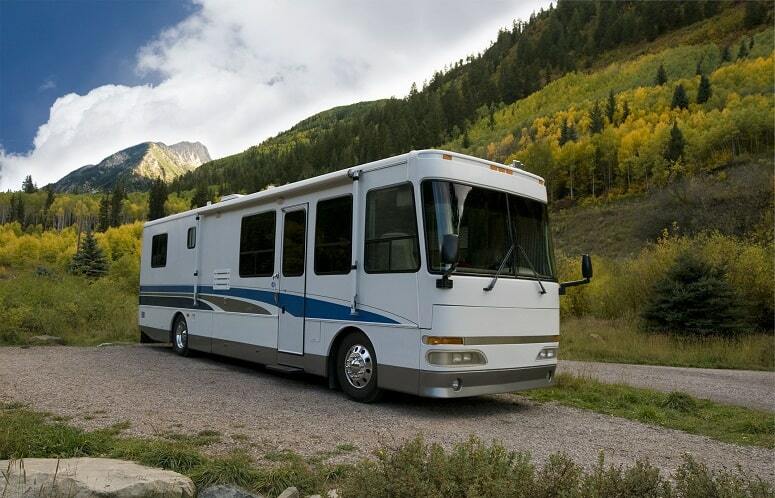 In a very large RV, you may be restricted to travel stops and road stops that usually accommodate tractor trailers. Many Class A RVs come equipped with the ability to tow. This is a great feature for trips where having a smaller car to drive locally is beneficial. Be aware that some rental sites won’t have a single pad that can accommodate the length of both your RV and your hauled car. This may mean renting a separate parking spot. The larger your vehicle, the more likely it is you won’t be able to back into sites. This is especially true in heavily wooded areas like national parks when you’re working with a limited turning radius. With a larger RV, you’re more likely to need to look for a pull-through site. These sites may be more difficult to find and more expensive to rent. Some of the longer Class A RVs may also be wider. Pay attention to any state regulations about the acceptable width of your vehicle and make sure you’re legal to be on the road. Be aware that some locations (as well as roads) will have vehicle length restrictions. This is true for many national parks. 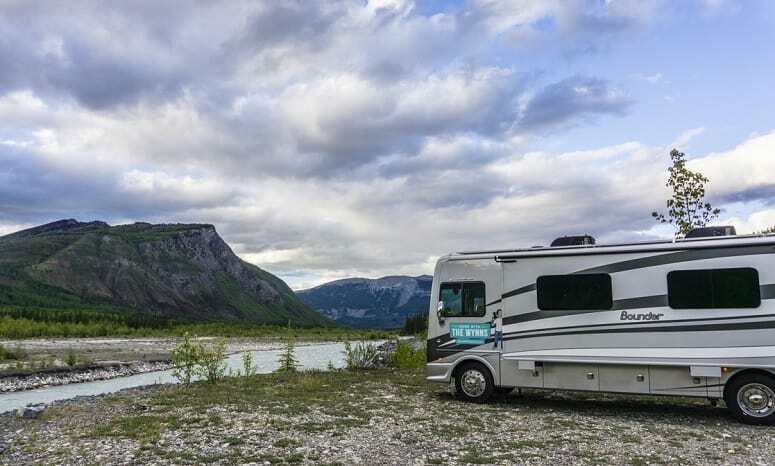 If you have your heart set on spending a significant amount of time at these spots, choose an RV length that won’t be prohibited. Especially if you’re hauling a vehicle behind a large RV, you’ll want to make sure there are no vehicle length restrictions along the route you’re taking. Some states may have specific laws for these vehicles, particularly on steep, or dangerous roads. Driving a Class A RV can really redefine your RV experience. Now that you know what you can expect to find in Class A RVs of different lengths, hopefully, you have a better idea of what you’re looking for in a vehicle. 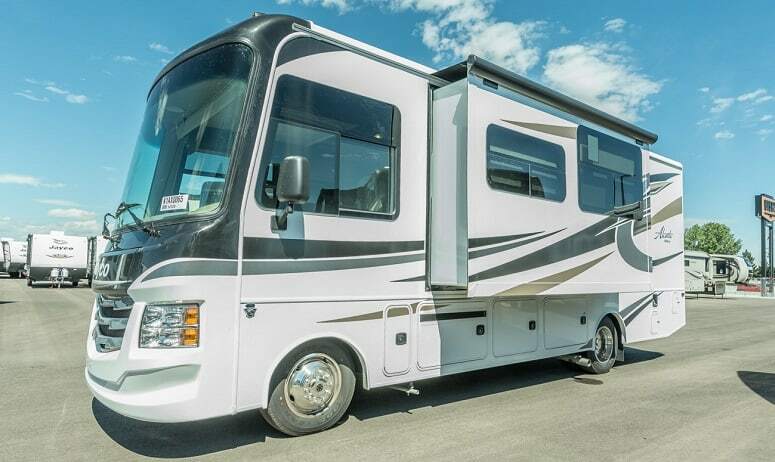 Knowing you can have a Class A RV in lengths anywhere between 22 and 49 feet can make all the difference in the world when it comes to selecting the ideal one for you. If you’ve been avoiding a Class A RV because you thought they were all too long for your needs, now you know that doesn’t have to be the case. 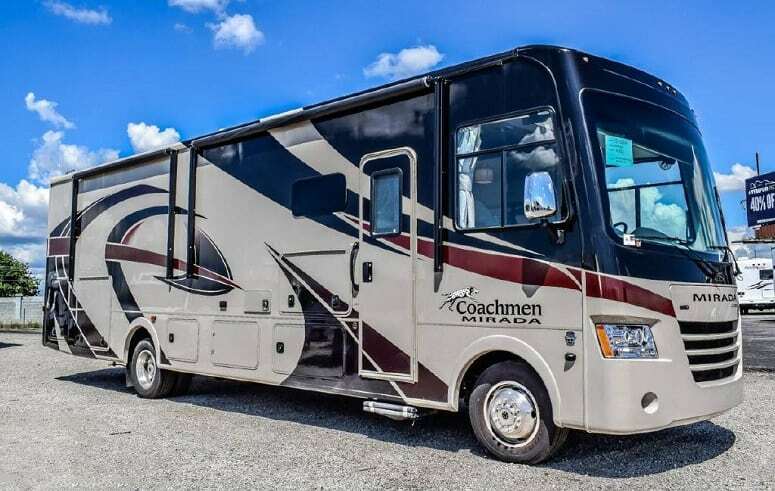 What length Class A RV do you drive? Do you ever wish you’d gone longer or shorter? We’d love to hear the whys and why nots. Leave us a comment below, and please share the article.